There is a nice article over at the Philosophical Economics blog from last month on the dangers of using the Shiller CAPE when the constituents of the underlying indices are constantly evolving. I particularly like the Ship of Theseus thesis being updated by the case of the 1970s group the Little River Band! As always with the Philosophical Economics blog, the post is well worth a read and provides some interesting food for thought in the on-going CAPE debate. I also largely agree with the author’s analysis on Europe and the assertion that monetary union “is going to have to eventually dissolve, or at least undergo a substantial makeover”. In the post, the author references an April 2013 report from KPMG’s Global Valuation Institute on why more European firms traded below their book value following the financial crisis than US firms. 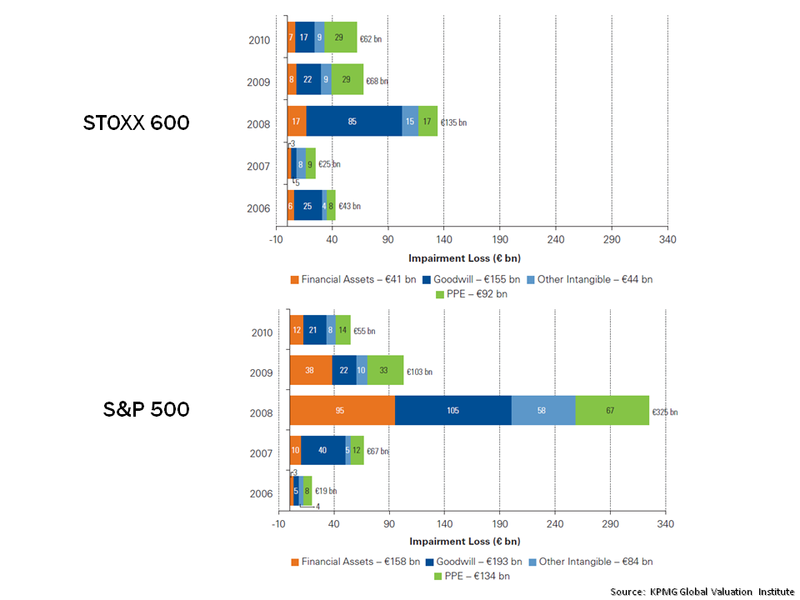 One exhibit, produced below, shows that European firms in the STOXX600 recorded less impairments than S&P500 firms through the crisis. This highlights the sources of the impairments and the differing accounting standards at play. 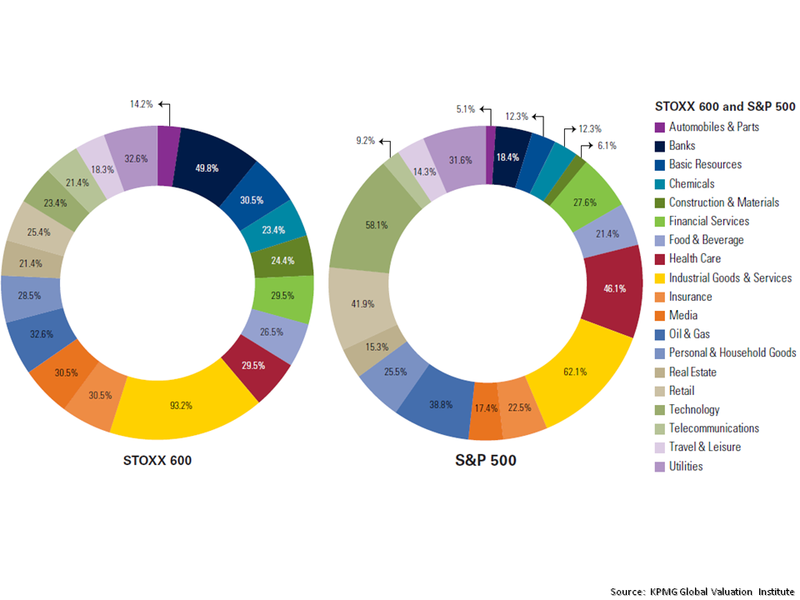 Another exhibit from the report illustrates the different sectors that make up the STOXX600 and S&P500 and the percentage of each sector that traded below book value in early 2013. It would be really interesting to see an update of this exhibit. This entry was posted in Equity Market and tagged book value, impairments, KPMG’s Global Valuation Institute, S&P500, Shiller CAPE, Ship of Theseus, STOXX600. Bookmark the permalink.